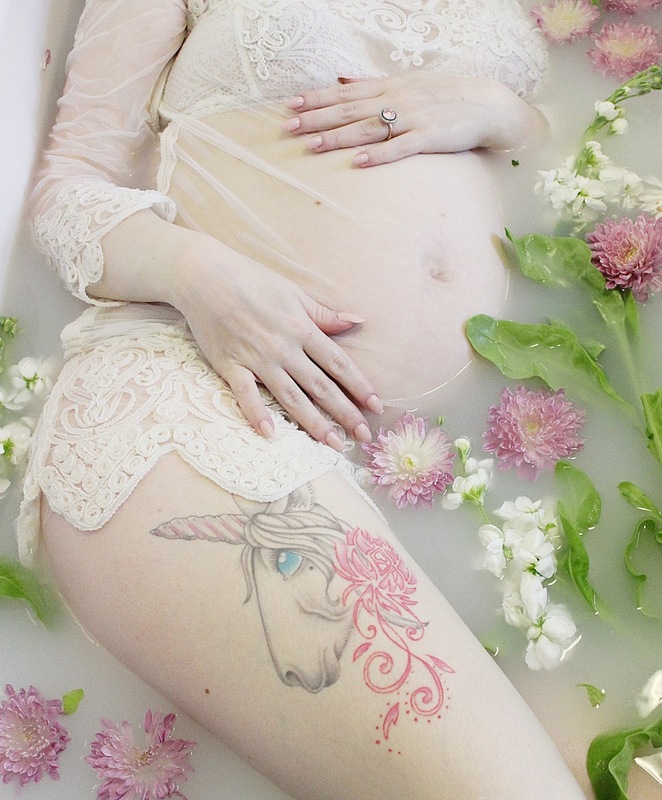 For my 32 week pictures I really wanted to do a floral milk bath - it's just so 2017 and I've seen loads of pictures looking AMAZING. I wasn't sure how they would come out as my husband acted Photographer and unfortunately he doesn't have an eye for a good picture 😋 But I would say they are pretty good anyway. 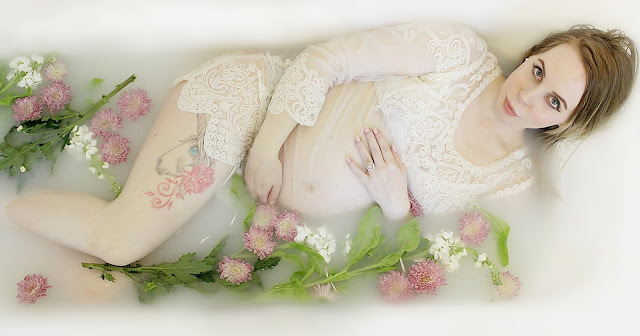 I also made a short video to show you how to do your own Pregnancy milk bath photos!